Shopping for Star Wars Can Huggers? Let everyone's favorite protocol droid protect you from a warm drink with this C-3PO Metal Can Hugger. 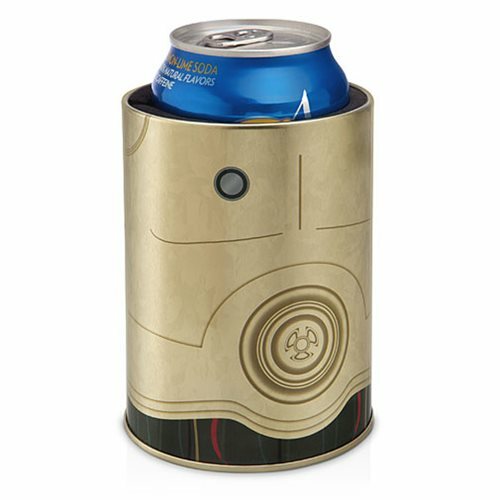 This can hugger features C-3PO's shiny chest plate and inside features a liner which keeps your drink secure and cold. So next time you have a cold one, make sure you have this Star Wars C-3PO Can Hugger next to you. Measures about 4 1/2-inches tall and holds most standard 12 ounce cans. Not dishwasher and microwave safe.